Are you searching for ‘Removal Companies Whickham’? If so, perhaps consider Quicksilver Moving & Storage, based in Newcastle. Quicksilver is one of the leading removal companies in the North East and serve Whickham, as well as all surrounding areas such as Hexham, Tynemouth, Gateshead and much more. Choosing the right removal company can often involve a lot of research and time in order to ensure you are going to receive the high-quality service you are after. Quicksilver Moving & Storage have many years of experience in the industry and have completed jobs in both domestic and commercial environments. We know the ins and outs of organising the perfect move and ensure that every customer receives the same high-quality service as the next. We are also members of the British Association of Removers, meaning we adhere to strict standards and regulations as a company for all removals! If you are looking to move house in Whickham and want a reliable removal company, then look no further. Call us on 0191 264 6677 for a removal quote today! There are several options to consider when moving to a new house, depending on the size of the move and if you have any special requirements. This will also depend on the time scale you have to move and the types of items you need to pack up before transportation. Quicksilver recognise that every move is unique and therefore the process will be slightly different for each customer, which is why we make our customers aware of all the different options they have for their house removal. Option 1: The first thing you could do is simply carry out the removal yourself. This can be extremely time consuming and require a lot of effort on your part. This will involve vehicle hire, packing, loading and unloading, arranging everything for the new house and much more. This may appear cheaper but you will not be covered for any loss or damaged items as this would’ve been done by yourself or those who have helped take care of your removal. This is usually the most stressful option to choose from. Option 2: As most people do, you could hire a removal company like Quicksilver to take care of your removal. A removal company will ensure everything is organised and planned in advance for the moving day, to ensure that you can move into your new home with no issues. 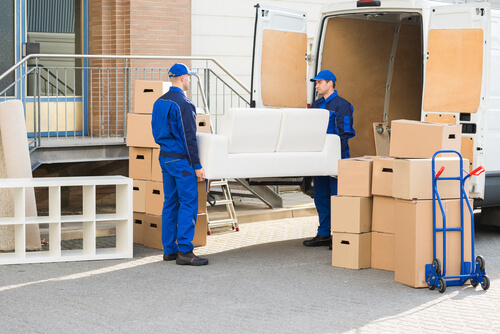 On the day of the move, the removals team will come out to your property and load your belongings into the vehicle, before making their way to the new property. This will give you additional time to arrange any other home-related tasks. Option 4: Another service we also offer is the dismantling of any furniture that the customer themselves cannot move or dismantle. If you think you are going to struggle with this please let our team know beforehand and they will do their best to help you. Our removal team will be happy to answer any queries or questions you have regarding the removal. For the best domestic removal services in Whickham choose Quicksilver Moving & Storage. Get in touch with us today for a quote! One of our team will be able to answer any questions you have or pass you onto our removal quotes team. Call on 0191 264 6677 to speak to us directly.